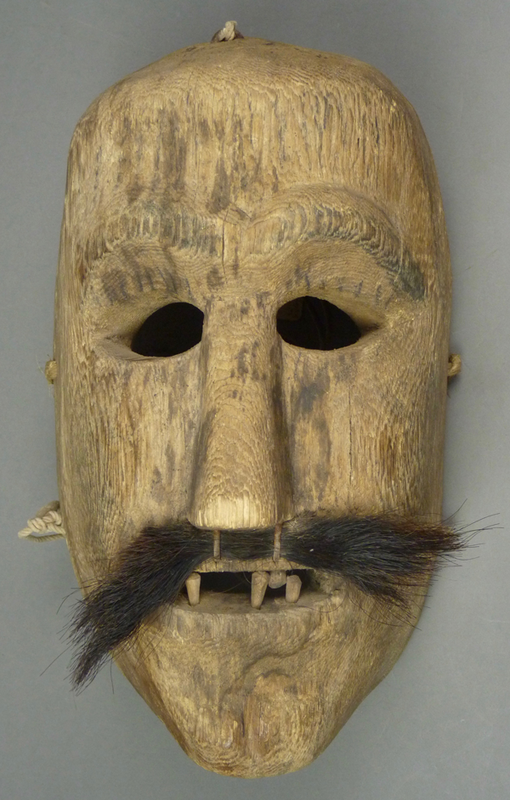 The eyebrows, which are carved in relief, were at one time stained with black pigment, which is now heavily worn. The peg teeth were carefully carved and then mounted in sockets. 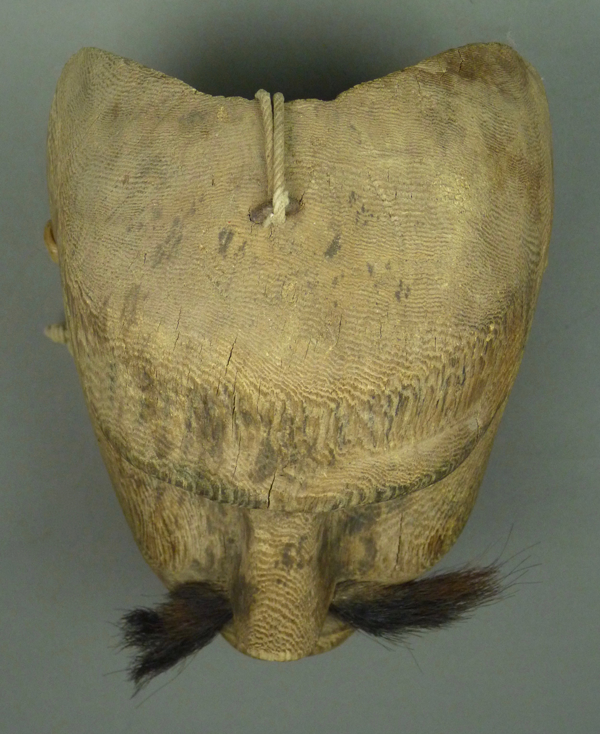 The top of this mask is slightly domed. 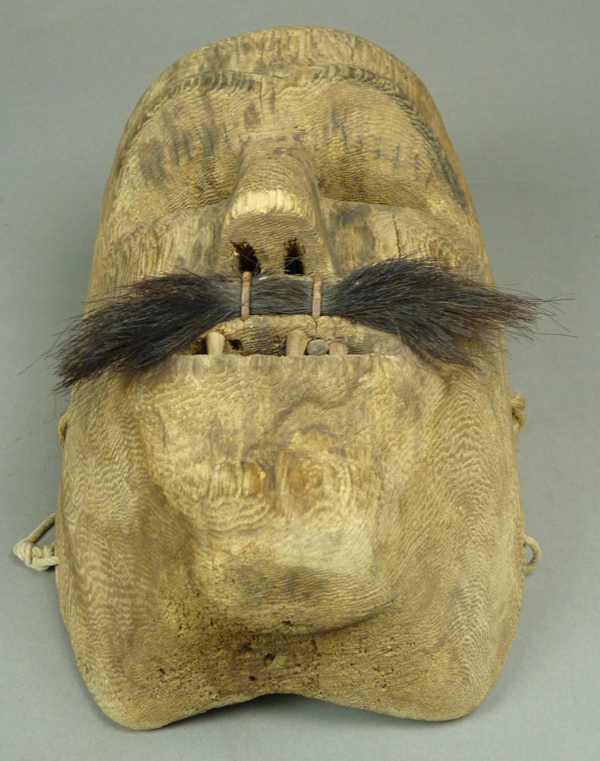 There is no evidence that there was ever hair attached to the top of this mask, in contrast to the typical hair on Tarahumara masks. There is an unusual knob shaped chin. 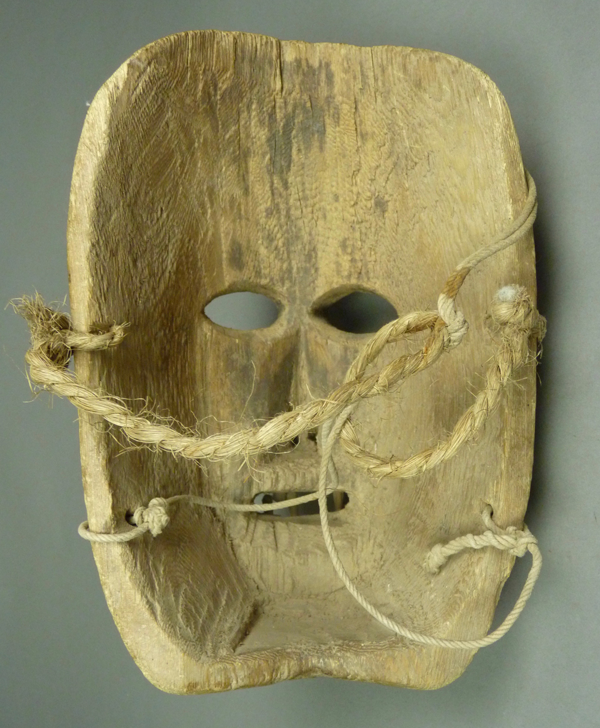 This mask is 11 inches tall, 6 ¾ inches wide, and 4 ¾ inches deep. 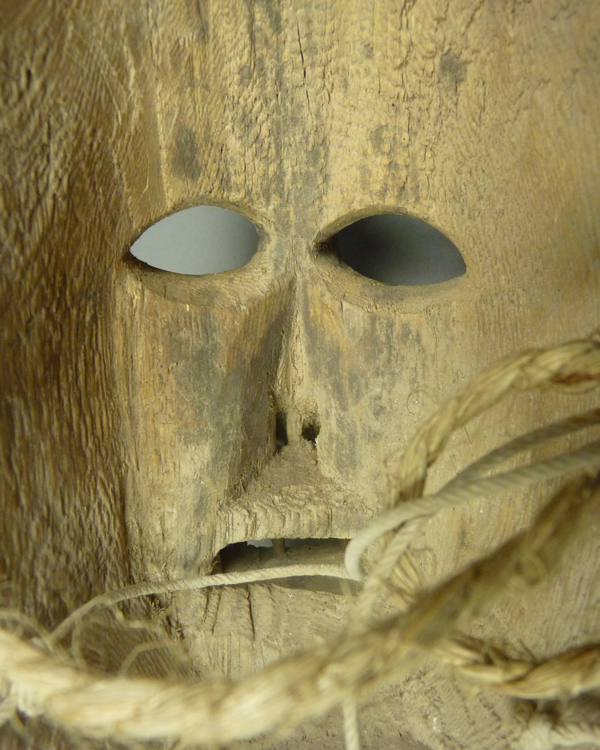 There is a carefully carved hollow to allow space for the dancer’s nose. 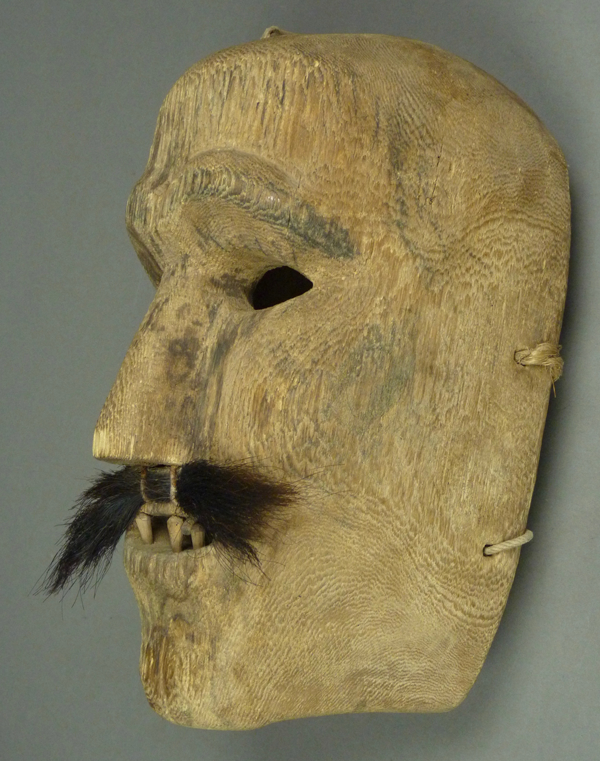 Next week we will examine another treasure that was collected long ago by Edmond Faubert, a colorful Mayo Pascola mask.